The musicians that brought us the iconic record, Double Vision, featuring such gifts as Maputo have combined their talents yet again, decades later, for a project titled Quartette Humaine. Who are they? They are two legends, two musicians, who have set the stage for all those who came after in jazz, funk, fusion and beautiful music in general. 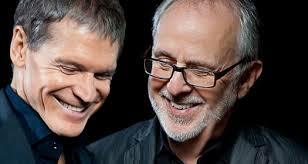 They are none other than saxophonist David Sanborn and pianist Bob James. It was 1986 when Sanborn and James released the platinum-selling, Grammy-winning Double Vision record which became one of the most successful smooth jazz releases, garnering impressive airplay and spending 63 weeks on the Billboard charts, topping out at #50. Now they teamed up with drummer Steve Gadd, also a Double Vision alumnus, to record Quartette Humaine with bassist James Genus. In a sense the new project is an homage to New York City, to Brubeck and to the surviving friendship between these two veterans of the art form. While I typically try to bring inspiring live performances to this site, please allow an interview that wonderfully captures these two old friends and this project. On Thursday night, June 6, 2013 we ventured down to 43rd Street to the Town Hall (a concert venue in NYC) to see, as Sanborn put it, “my third rehearsal.” It was a masterful live performance by Sanborn, James, Gadd and Genus. While I do not have any live footage from the performance, here is a tune from Quartette Humaine titled Deep in the Weeds. It would be an affront to their history not to present a live performance of the tune Maputo off their Double Vision record. 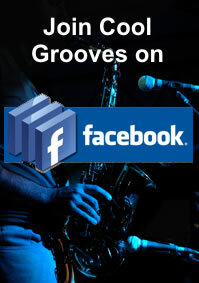 This version is performed by Bob James’ band Fourplay and they are joined by David Sanborn. When they recorded Double Vision, Marcus Miller wrote some of the songs and recorded the record with them. Miller, a legendary bass player, also wrote Maputo and played with Sanborn during the height of his career. Here is a touching interview in which Miller talks to Sanborn and James. 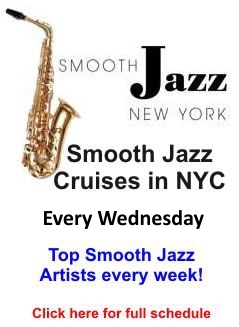 This entry was posted in Artists, New Releases, Smooth Jazz News and tagged Bob James, david sanborn. Bookmark the permalink.